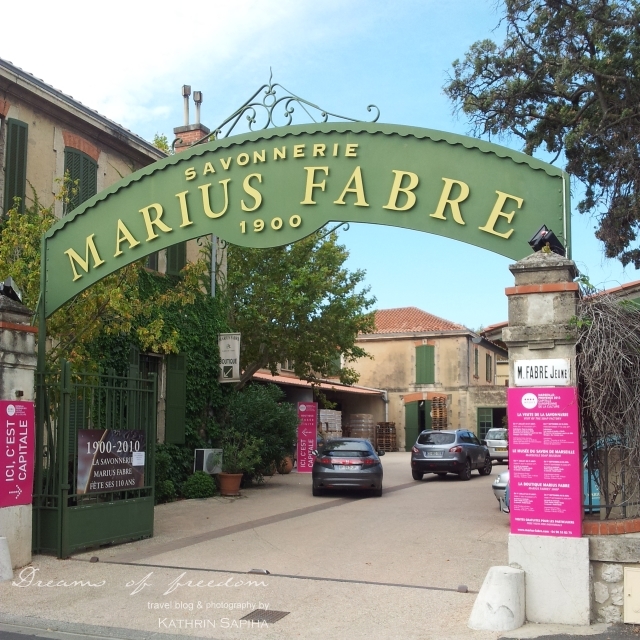 After all the beautiful and modern art, I got to see in Marseille, a visit at the Marius Fabre soap manufactory was a nice change. 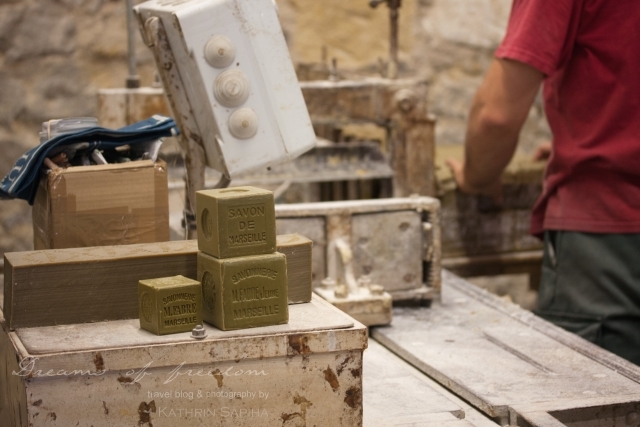 The original Marseille soap is made the same way as in 1900. 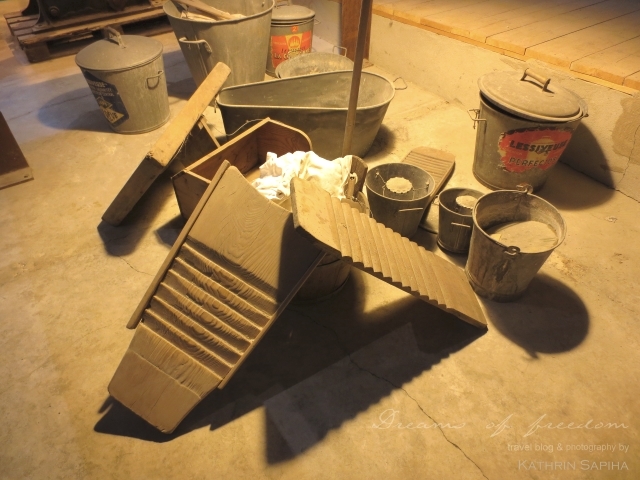 Marius Fabre soap factory – Museum – Marseille soap also has been used to wash laundry. 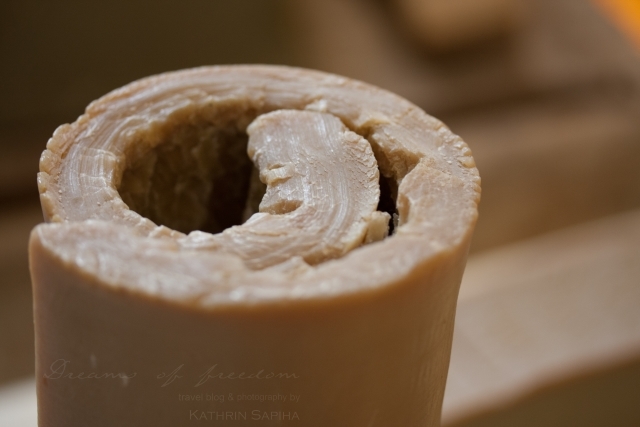 A lot of old soap factories had to close after the invention of the washing mashine. Just as The Sun King – Louis XIV of France decreed in the 17th century, 3 simple ingredients is all that’s needed. Vegetable oil, marine salt and soda are baked in a caldron. 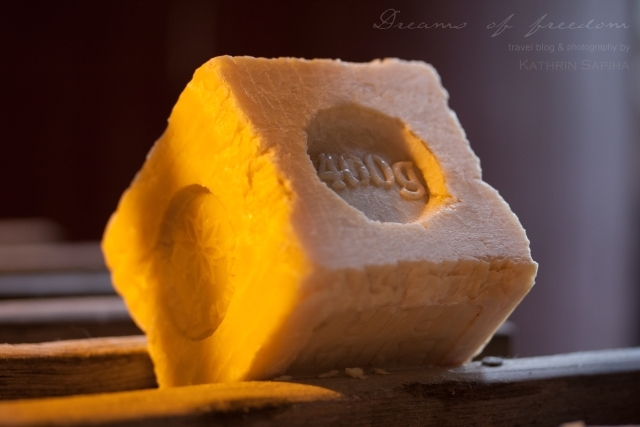 Every day the soap mixture will be washed with salt water to guarantee a very pure soap. 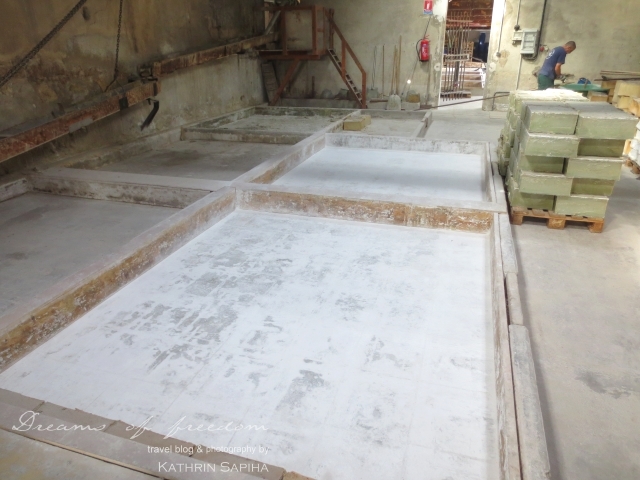 After 10 days the hot – lava like – mixture is ready to be poured into the drying room where after 2 days big blocks of about 30 kg (66 lbs) are cut out for further processing. Entering the room with the (huge!) caldron is like hitting a wall. If you have seen Labyrinth and heard about “The bog of eternal stench”, you get the idea. The funny part: It also looks the same! Used to that special aroma, Julie Bousquet Fabre, the great-granddaughter of Marius Fabre, explains the procedure with a smile. All visitors are somewhat relieved to exit the room, that is overlooked by a statue of Virgin Mary. The boiling process can get really dangerous therefore the workers need her protection. 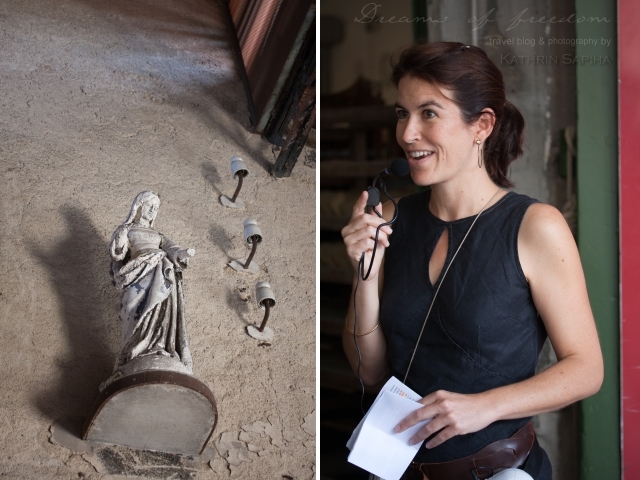 Marius Fabre soap factory – Virgin Mary is watching over the production process that Julie, the great-granddaughter of Marius Fabre, is explaining to the visitors. After leaving these hallowed halls the fun part begins and the smell is much better! Finally scents like vervaine, roses and honeysuckle are tickling my nose. 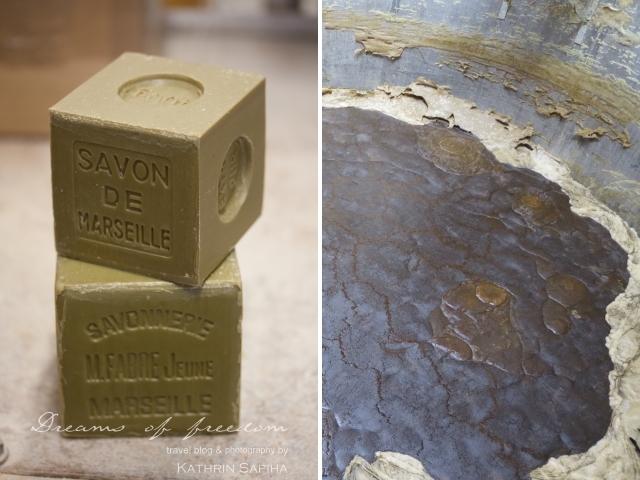 The Marseille soap is not only available unscented (which also can be used to clean the floor, laundy and your pet!) but also combined with finest essential oils. 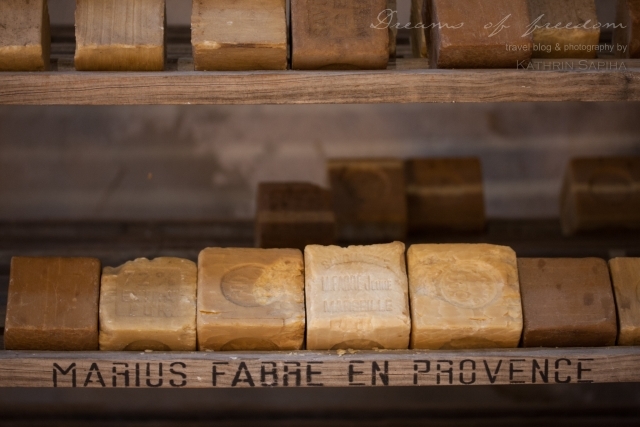 Did you ever visit the Marius Fabre soap factory? Have you been to this place and want to share your experience? Are there any other cool factories, that are a must see and I definitely should visit? Let me know in the comments below or connect with me on facebook! I’d love to hear from you! thanks for this amazing suggestion … I will go certainly!